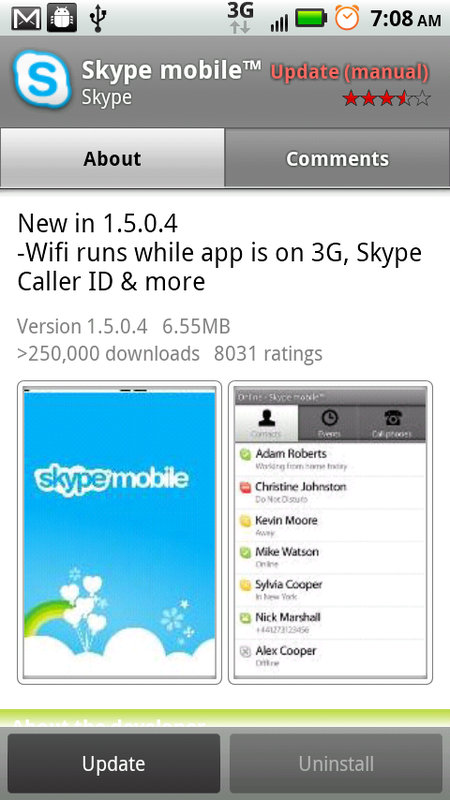 An update to Skype is available and at first glance seemed like it included one major update, calls over wi-fi! 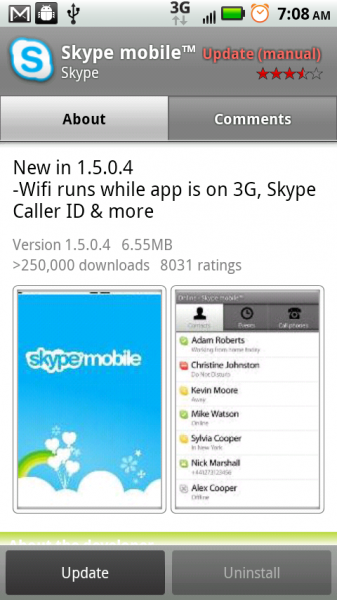 Well if you read the description of this update a little closer, you can see that you can still only makes calls over 3G, but it will no longer kick off your wi-fi as it did in previous versions. While this is a much needed update, many of you will be disappointed to not have an option for wifi-only. Sorry folks! Cheers pyroholtz from the forums!